Oboist Mika Allison is a Chicago-based performer and educator with a focus on collaboration and community. She currently holds positions with the West Michigan Symphony, the Civic Orchestra of Chicago, and the Texas Bach Festival Orchestra. Mika has performed with various ensembles throughout the Midwest, including the Peoria Symphony Orchestra, Kankakee Valley Symphony Orchestra, Chicago Symphonic Winds, and Regali Winds. As a freelance musician, she performs with the St. John Cantius Resurrection Choir and Orchestra and the South Shore Opera Company of Chicago as well as other organizations throughout the city. 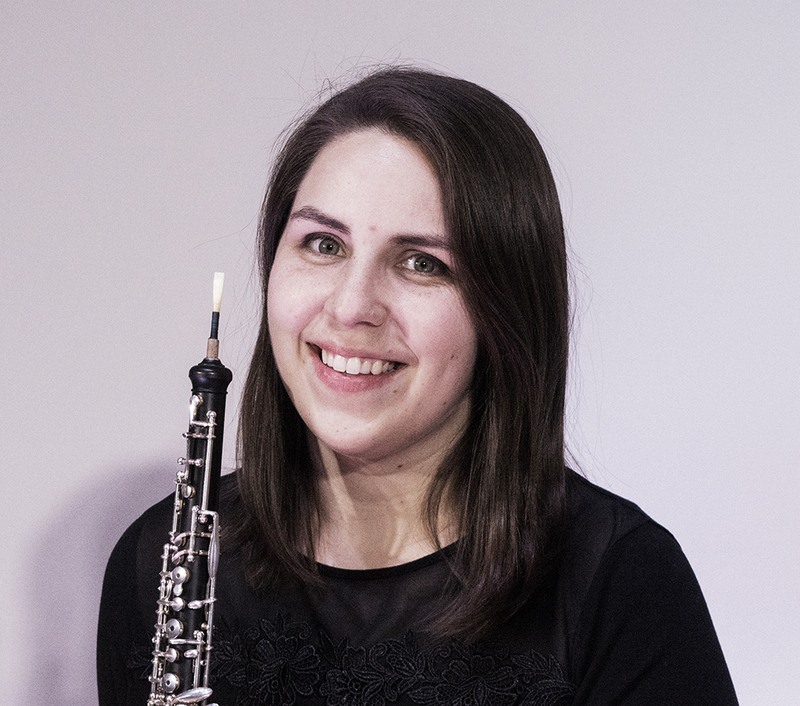 Mika is a founding member of Aether Ensemble, a woodwind quintet committed to excellence in the performance of standards of the quintet repertoire as well as newly-composed works, with a special interest in working with local composers. With Aether, she has performed in venues around Chicago, including children’s concerts and masterworks performances. Devoted to arts education, Mika teaches with Sistema Ravinia and Orland Park School District 230, and maintains a private teaching studio in Chicagoland. She has taught at summer programs including University of Illinois’ Illinois Summer Youth Music, Eastern Illinois University’s Eastern Music Camp, and the International Double Reed Society’s Teen Camp. Hailing from Texas, Mika completed an undergraduate degree at Texas State University studying with Dr. Ian Davidson. She completed a Master’s Degree in Oboe Performance and Literature at the University of Illinois at Urbana-Champaign and a Post-Master’s Performance Certificate at DePaul University studying with John Dee, Grace Hong, and Alex Klein.